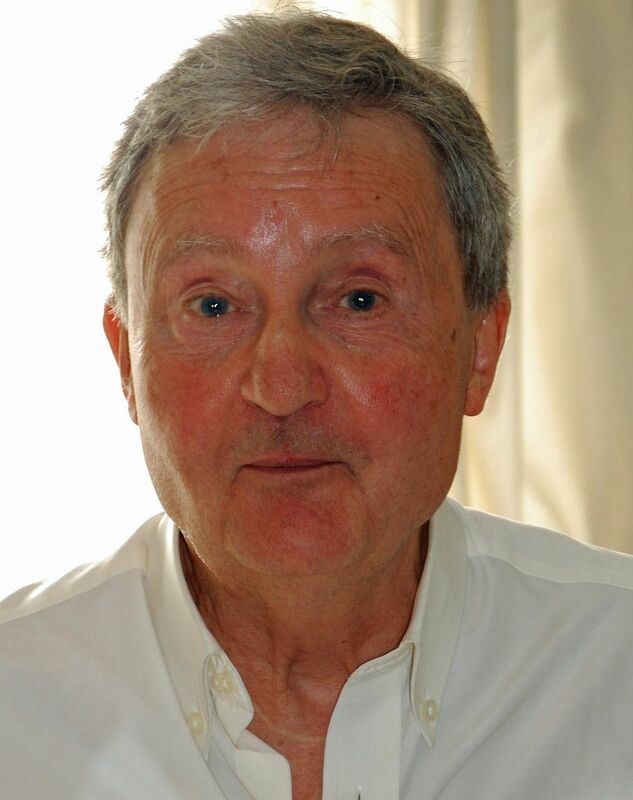 Reporters from the World Socialist Web Site sat down with Garnett this summer and asked him a number of questions about his life and career, and in particular the political and artistic conceptions that have informed his work. This is the second part of the interview; Part 1 was posted October 23. WSWS: At the end of the 1970s you left Britain to work in the United States. What was behind that decision? Tony Garnett: Things got more difficult. From 1975-76 onwards the opportunities were starting to close down. There were many battles, it was exhausting and it wore me down. For a number of years, our contracts at the BBC didn’t come through or there were long delays… At the time there were questions in the House of Lords accusing the BBC of being a hive of “communists”. This was under the Labour government. In the late 1970s I finally left for the United States. I was exhausted doing four films a year, fighting the BBC and trying to get money. I was the only one producing such work and everyone wanted a piece of me. Also, I was getting very disillusioned politically. I couldn’t see a way out, what to do next or what sort of political film to do. I knew I had to get refreshed—somewhere that was English-speaking and made films. In the 1960s there had been a really interesting independent film movement in the US and I thought if I could find my way into the interstices of that maybe I could find new challenges. Plus being 5,000 or 6,000 miles away, I might get a better view of what was happening here. Instead I walked into the Reagan era and the independent cinema movement had collapsed. Hollywood only wanted special effects, “shoot-em-up” films with guys shooting foreigners. But I learnt a lot and surviving over there equipped me for coming back. TG: There was a change in the atmosphere in the BBC—the idea of “Managers should have the right to manage”. A similar thing happened in the universities, the National Health Service and other institutions. It creates a very tight pyramid with lots of layers of supervisory management telling you what you may and may not do. So the type of producer from my time, from the 1960s, has been abolished. Producers in the 1960s were trusted. You were given certain freedoms and allowed to pick the talent. There were constraints of course, but now the essential role of producer has gone further up the management chain—to the sixth floor, where there are senior executives who have never produced anything in their lives. If you look at the BBC, by and large it makes programmes about one borough in London—Westminster—for the benefit of those living in two or three others—Notting Hill and Islington. The rest of the country doesn’t exist except when two or three young producers will go to Doncaster or Newcastle, say, as though they were visiting anthropologists, and come back with an “amusing story” about the habits of the natives or a shocking story about how badly they behave. WSWS: What of the present situation confronting workers and artists? TG: Thatcher said in retirement that her greatest achievement was New Labour. If workers could clearly see the role of the unions, and that Labour is a conservative party, the scales would fall from their eyes. It would be a confusing mess for a while, but it would have possibilities. It’s certainly not what the bourgeoisie want. They want Labour and the TUC to continue their role of confusing the working class. I keep telling people this is not a recession like before. It’s not about demand and wiggling the interest rates. This is a big one. As the rich are getting richer, the rest of the population sees its living standards eroding. The US figures are staggering. Here too. Their system cannot survive like that. How do we take advantage? In my world, I find it hard to see anything developing artistically through Hollywood or television. It is very expensive and the grip on it is very tight. There is no room for manoeuvre. If I was in my twenties, I would not be working in the cinema or in broadcast television. I would be looking at the new technologies. They are disruptive and a problem in capitalist society for professionals in music, publishing and now in the screen industry. But it is a most wonderful opportunity and in a socialist society it would just be embraced. The barriers to telling stories on a screen have more or less disappeared. When I first started the cost was immense. There were expensive complicated cameras needing highly skilled professionals, using film that had to be processed in a lab. Then you had to hire a theatre to even see the film. A few corporations owned everything, so only a few privileged few were allowed access, and could only produce what the corporations permitted. Now a kid can get a second-hand digital camera and point and shoot. Of course, some will get more interesting pictures than others. You can then edit the film on a laptop and bang it on a server for millions of people to experience forever. … If I were in my twenties now I would be working exclusively on the Internet, particularly because of its creative and political freedom, but also because I don’t know how to do it. I would be doing it and failing and learning and doing it and failing and learning again. That’s why they want to close down the Internet if they can. Politicians don’t like allowing people to communicate anonymously with each other. They want to restrain freedom. … But still for a while there is a window of opportunity and freedom. They monitor you, but don’t yet stop you. That will come, of course. You are so wise and smart be working on the Internet with the World Socialist Web Site. It’s where people ought to be, where creative people and political people ought to be. I always thought film was a social activity. It’s not like writing a novel. It’s a socially creative achievement. There is a lot of individualistic nonsense talked about filmmaking. The French auteur theory says it’s the director. The Americans say it’s the producer. It is silly and misleading. It is everyone creating the film. Financially, it can be an individual because the real power of movies is always the money. The studio or broadcaster might delegate that power to a star. If the star brings money they can decide who is cast, etc. Sometimes it’s the director. It’s rarely the screenwriter, because they are undervalued in cinema and TV. But if anything remains of these films that is commendable it is an achievement of all involved. 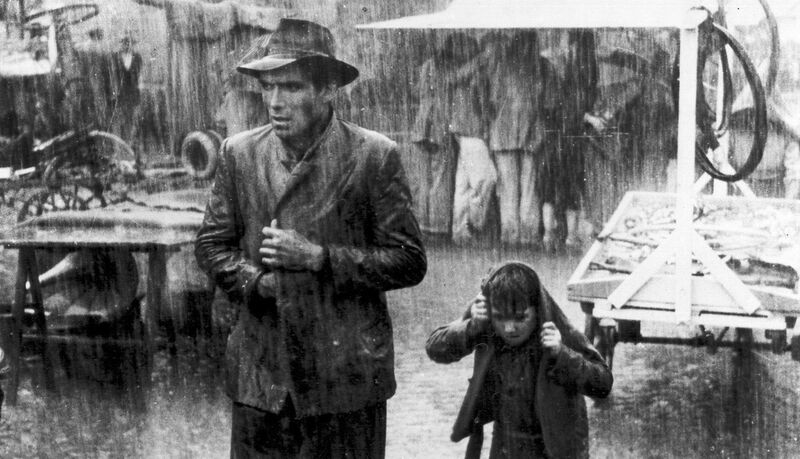 The main artistic influence on me was the neo-realist cinema of Italy after the war—such as Bicycle Thieves. The humanity of it, the way it was filmed, on the streets, hand held. Also some Eastern European cinema, especially Polish and Czech— Closely Observed Trains. 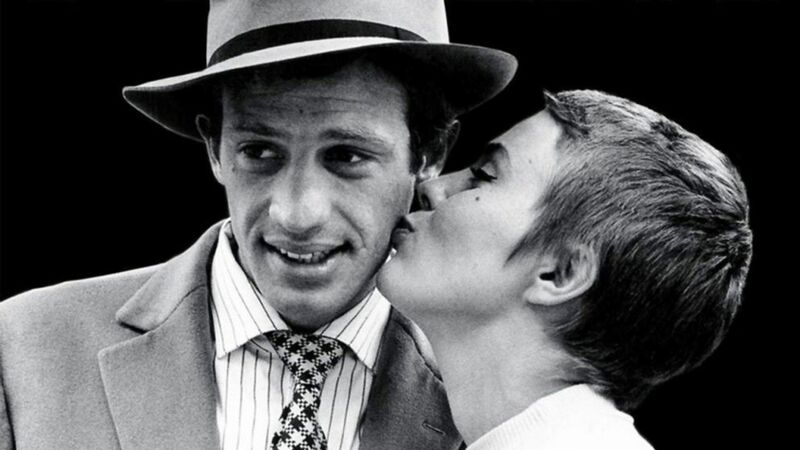 Then technically there is Raoul Coutard’s camera work in Breathless. There is a freedom, a casualness in the way it was shot. 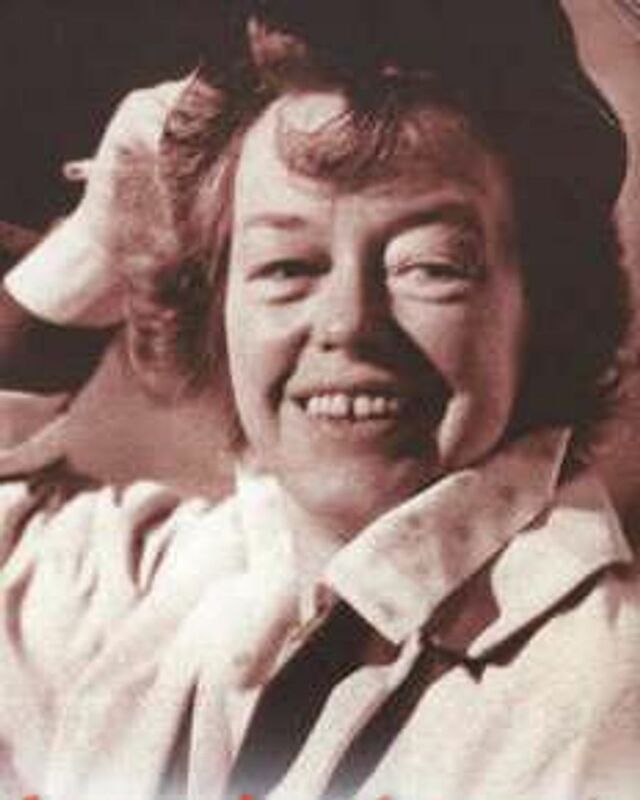 Another influence was Joan Littlewood, of Theatre Workshop, Stratford East [Oh, What a Lovely War! and other works]. A great theatre director. Her work had such energy. We wanted to do a film together, but it never happened. She said, believe in people, everybody is a genius. I’m flattered if people say that my work is agitprop. If that’s what they think, then we have achieved something. Great art that disguises art is the true art. George Orwell said good writing style is like looking through a mirror. I have spent my life finding colleagues, working with colleagues, so we can all—writing, shooting, directing, acting—tell the story without drawing attention to ourselves. I used to have arguments in the 1960s, until I got bored, with people who wrote for cineaste magazines. They said my work was reactionary and I wasn’t a true socialist because I was saying something within a bourgeois form—a 19th century form of realism-naturalism—and that the truly revolutionary thing to do would be to deconstruct that form in order to make people think more originally about the world. They would quote Bertolt Brecht. My reply was that network TV was the national theatre of the air and that’s where people were. The form is what they feel comfortable with. If I used more experimental forms, no one would watch. So I advised them to carry on making their films for a handful of cineastes to discuss and I will make my films to influence 10 million people. WSWS: You stopped working as a producer and are now a novelist. What caused that change, and how much of a change is it? TG: By the end of the 1990s I had spent 40 years or more working on screen and the novelty had worn off. Also, I wanted to give it up rather than it give me up. It was a very exhausting business and I was tired. I also wanted not just the time but also room in my head to write the novels that were rattling around inside me—to listen to the characters and write down what they were doing. I am on my third novel. Writing is a completely different activity, but it’s a continuation of the same thing. I tell stories and there are all sorts of ways of telling them. It’s all I know how to do. A lot of the time I told stories hoping to persuade or reach into people’s heads. At the very least to say look, this is how it seems to us. This is what we think about it. What do you think? There’s something magical about a story which is enacted, a drama, because there is an emotional link between the audience and the character or the actor playing the character. If you’re watching a drama, particularly if it is good, you’re actually feeling what it’s like to be that other person. That traffic creates empathy, something magical. That is vital for our understanding of each other intellectually and emotionally. But the range of drama is so narrow now and it’s a great pity. Because a society that is not empathetic is a society in deep trouble. The only people who lack empathy are psychopaths. Capitalism is sympathetic soil in which psychopathy can grow. Art for art sake is meaningless. I want to affect people. I don’t even like the word art, as now it has too many individualistic associations. Art comes from artefact, artisan. Art and skill, art and craftsmanship—they were the same thing. It was only in the last century that the artist became this refined, posh creature somewhat separate from all of us. I want to hack that out. I come from a family of artisans—that’s what they did. I used to say to students you may go out of here and win an award and start to think you are very important. You are not important. But what you do is important. Because you are a story teller and society can’t live without story tellers. History is a story. That’s why we fight over history. We make sense of ourselves, the world and ourselves in the world through the struggle to tell the truth through stories. Facts have to be contextualised to become the truth. And that truth is a struggle that is constantly fought over. It is not given. And telling stories helps to create debate about that truth. That is why working people should tell their stories. Truth is a class issue. I would appeal to all your readers, especially to young ones, to make their own political films; shoot interviews, especially with older comrades, and dare to express themselves on the screen. Film making is for everybody.